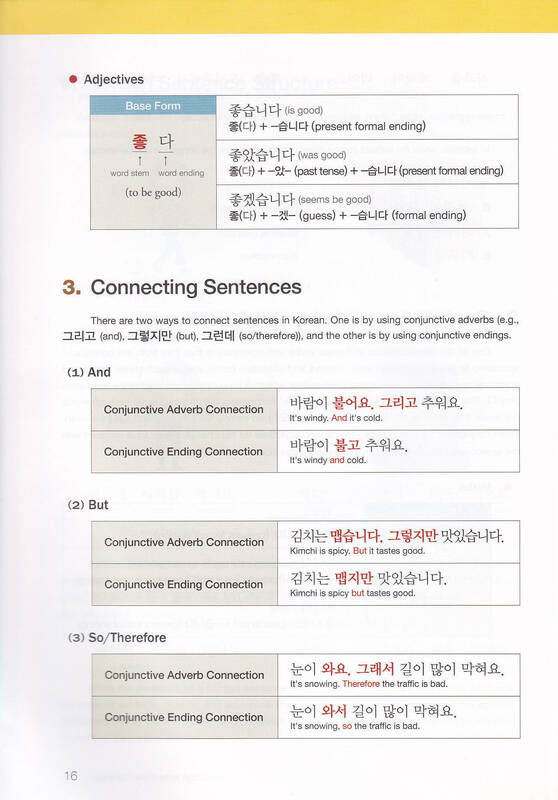 First of all is the review of Korean grammar book in use-Beginning. 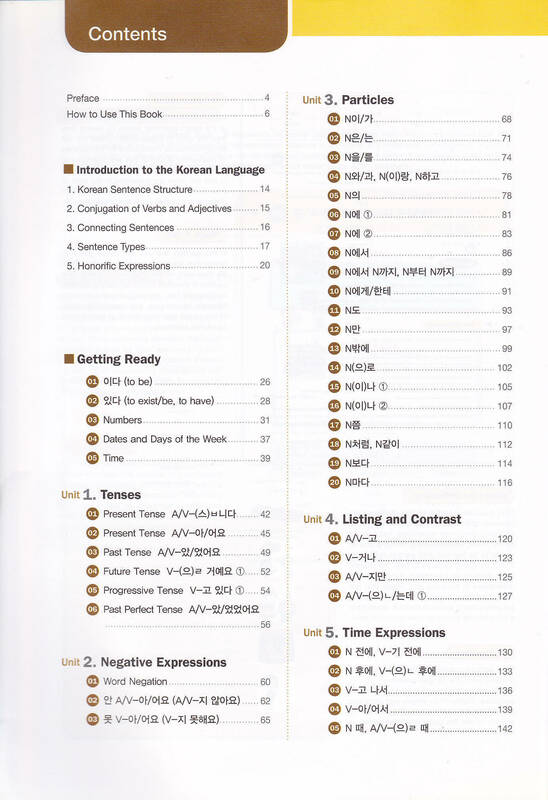 This book conveys the basic Korean grammar points for the beginner learners. These grammars appear frequently on the Topik beginner test. 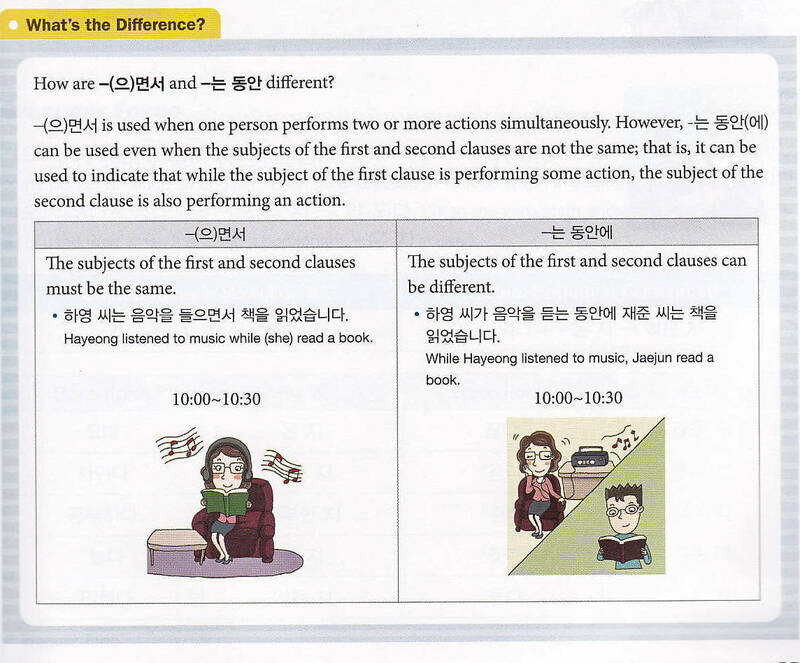 You must be able to read Hangul before using this book. 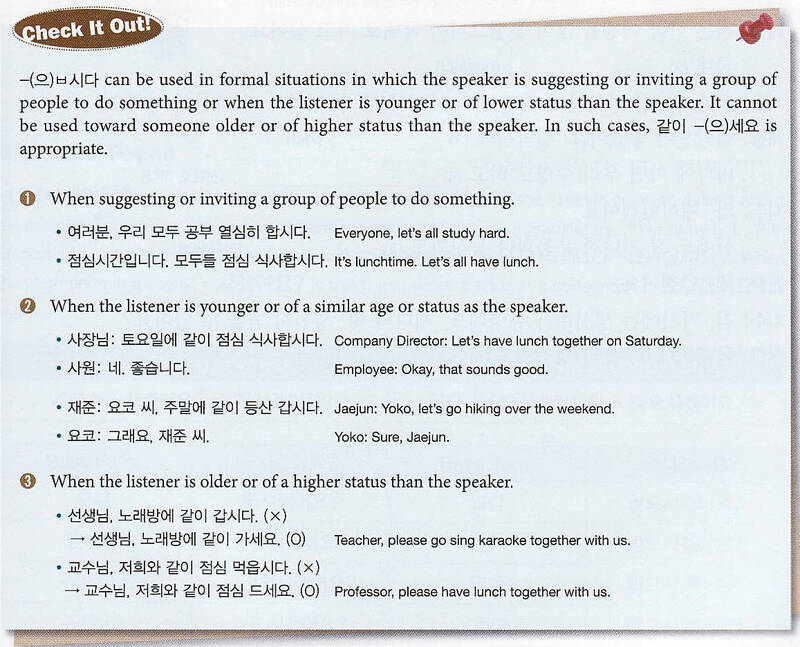 There are English explanations and English translations of the examples. The basic grammar points are categorized according to their usages such as negative expressions, time expressions, expressions of hope, listing and contrast, demands and obligations and so on. 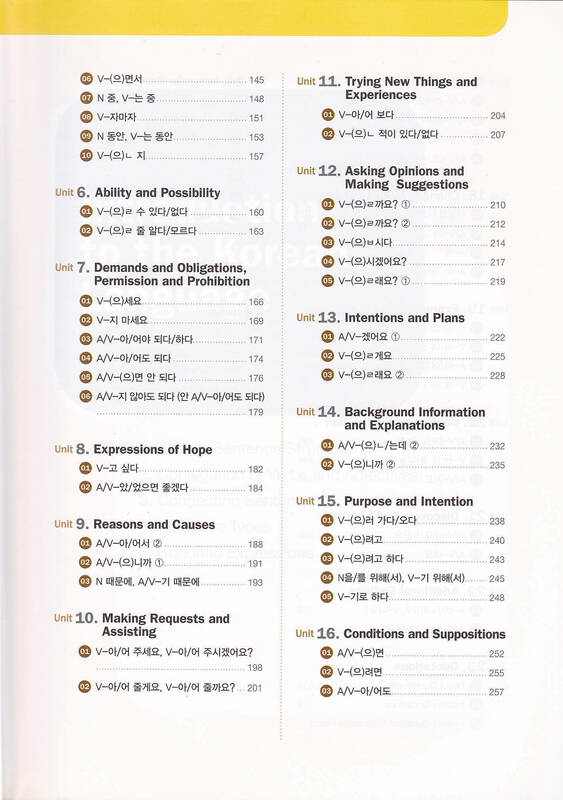 The book has 24 units and each unit covers the grammar points that have the similar usages. 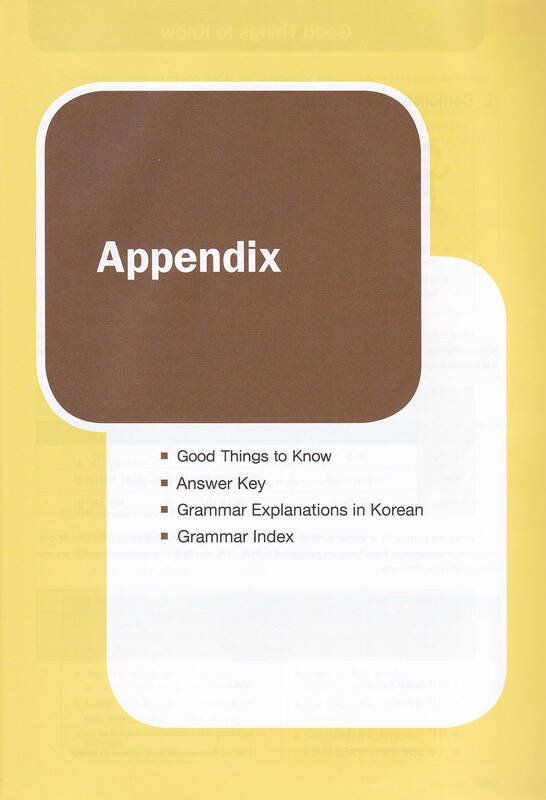 At the end of the book, there is an appendix which has some notes about grammars, the answer keys, grammar explanations in Korean and grammar index. At the beginning of the book, there are some introductory units for beginners. 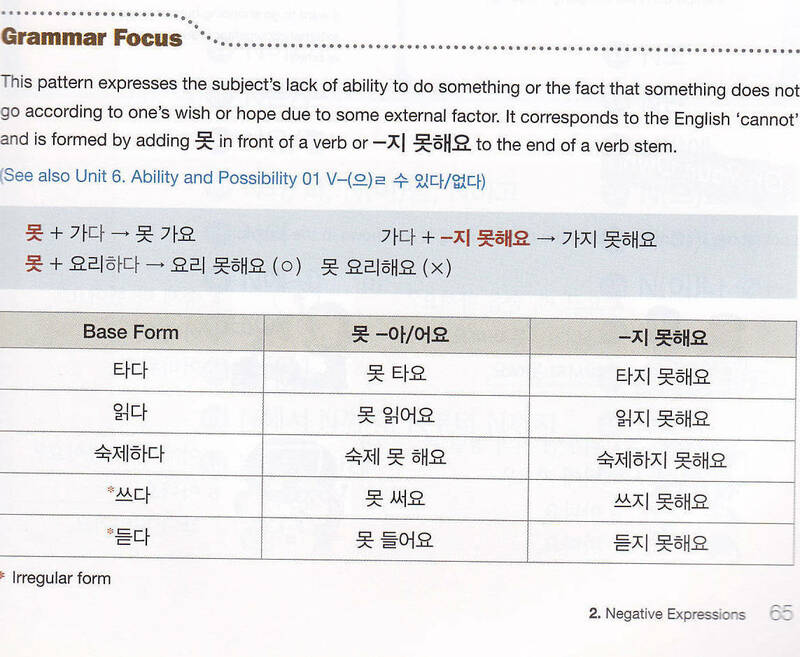 These units help the beginners get used to the structure of Korean grammars. There are colourful illustrations and examples. The way the book explains grammar points is very easy to follow. There are boxes for the grammar formulas. 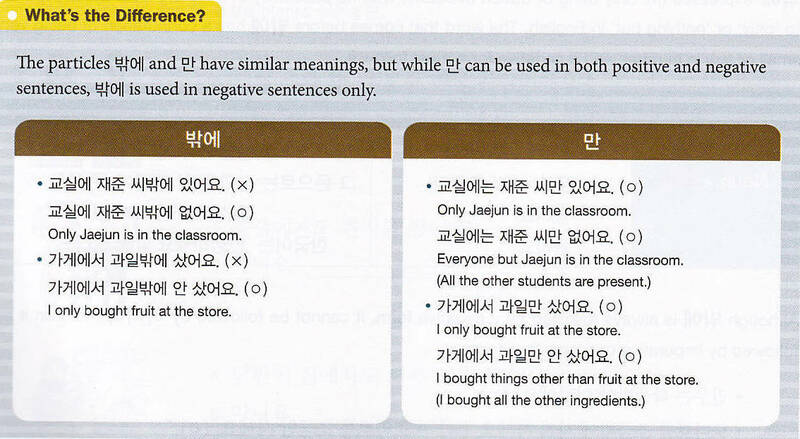 The book even shows us the right and wrong usage of basic grammar points. After the introductory unit is the main units of this book. Each unit has main parts which are ‘introductory sentences’, ‘grammar focus’, ‘in conversation’, ‘check it out’, ‘what’s the difference’ and ‘on your own’. At the beginning of each unit, there are introductory sentences including the new grammar points. You can listen to this part on the accompanying CD. This listening part arouses the learners’ interest in the lesson and helps them get ready for the new grammar points. The learners can infer the meaning of the grammar point after listening to the sentences. Grammar focus is the section that presents the grammar explanations and examples. 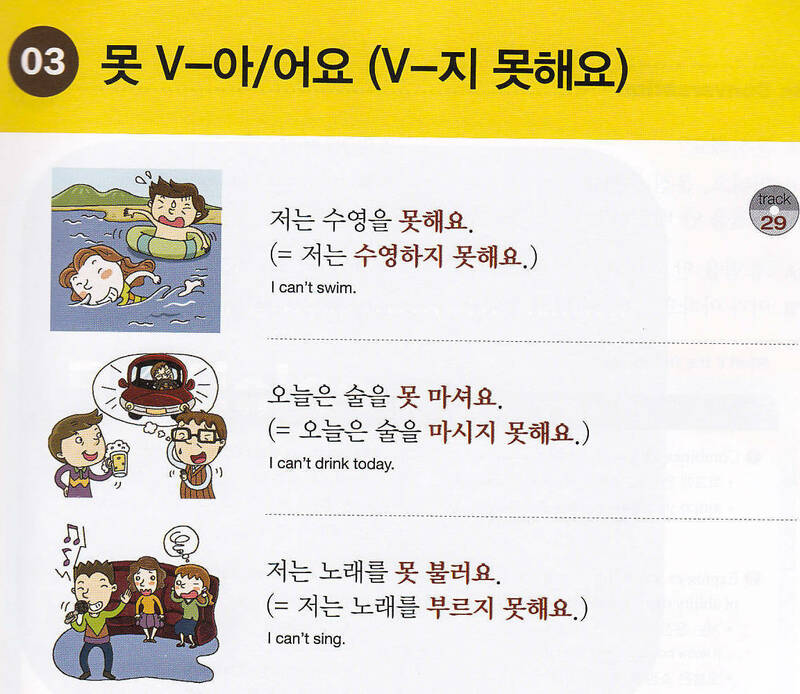 This book also shows the grammar restrictions in Korean and common mistakes. In this part, the grammars are used in the practical conversation. Learners can also listen to the accompanying CD to practice pronunciation and confirm the use of grammar points in the dialogue. In this section, the book helps learners identify the common grammar mistakes. There are clearly explanations in English and detailed examples. In this part, the book helps the learners distinguish the grammar points and expressions that have the confusing usages, meanings or forms. 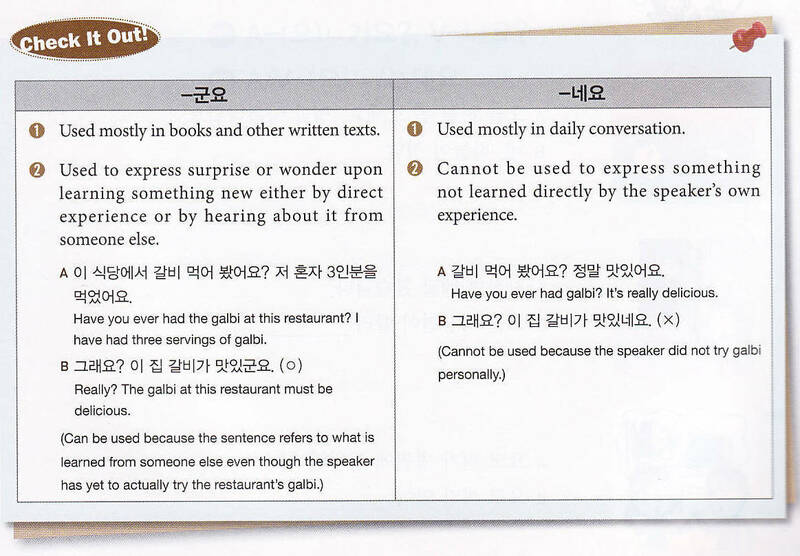 The section draws learners’ awareness to the natural and practical usage of Korean grammar points. This is the special part that makes this book stand out from other grammar books. This part provides the learners with many exercises so that they can check their understanding of the grammar points. With the answer keys and beautiful illustrations, the exercises are designed in a way that learners can self-study actively. – There are English explanations and English translations of the examples. – The book draws learners’ awareness to the common mistakes in meaning, usage or forms. -The confusing grammar points and expressions are distinguished clearly with examples. 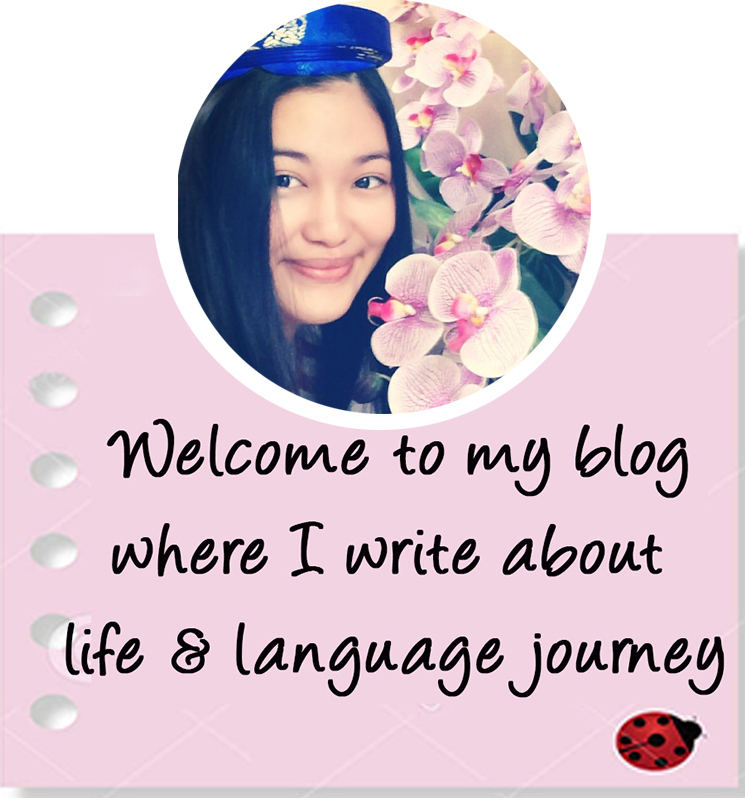 – There are tips that help learners know how to use grammars naturally. – The focus of the book is the usage of grammars in daily life, so there are a lot of practical conversations so that learners can check how grammars are used in real life. -There is an MP3 CD recording the dialogues in the books. It helps learners practice pronunciation and learn grammars actively. -There are answer keys so that learners can check their answers and self-study. – The exercises are designed in different forms so that learners will not be bored. – The book uses striking visuals such as beautiful photos to illustrate grammar points. -There are no parts about Korean culture. – There is no glossary so we have to look up the new vocabularies on our own. 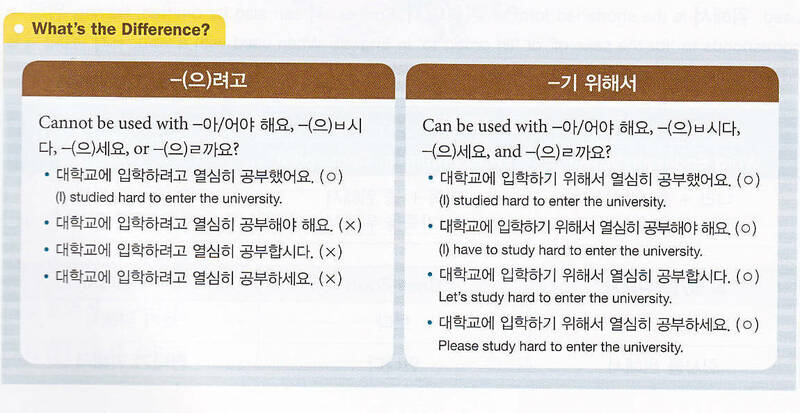 – You must be able to read Hangul before using this book. Generally, this is the good grammar book for beginners. You can learn the grammar points in an active and interesting way. The parts ‘Check it out’ and ‘What’s the difference?’ are the highlights of this book. 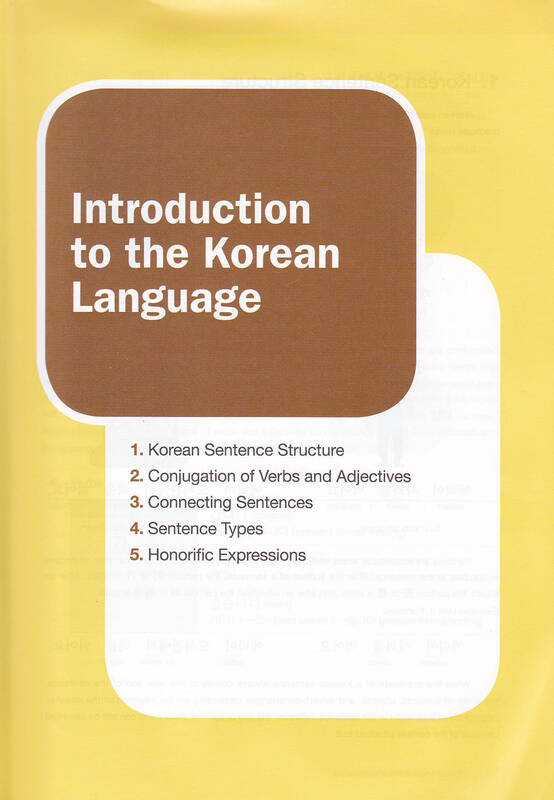 Do you use this book to study Korean grammars? 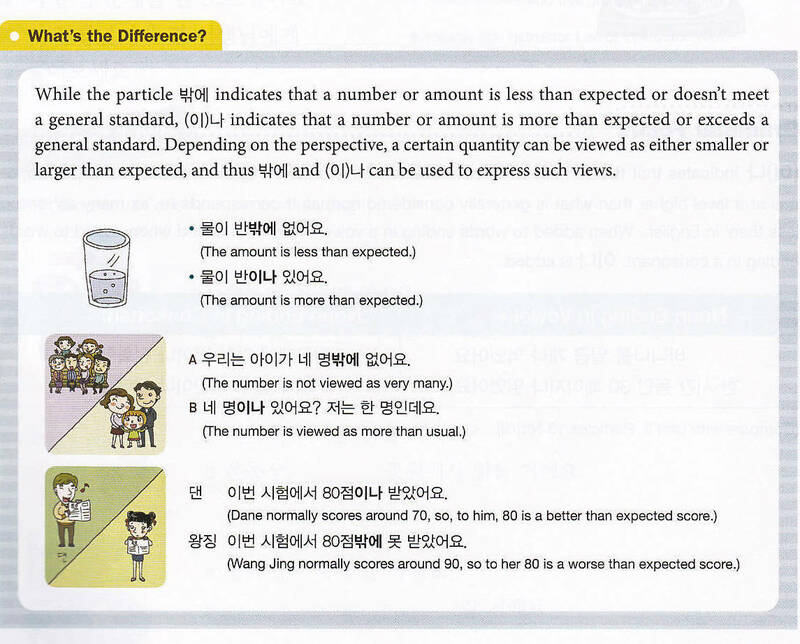 P/S: Here are some scans of the appendix and answers part. You can download on this link. But both of those books have the same contents. What is the edition of your book? Does your book have the Appendix part? Hello Laura, I’m sorry for the late reply. Maybe there’s something wrong with your book. You should check with the provider again. Hi. I have the same problem that Laura. I have not the appendix on my book. Could you send the appendix please? Dear Alejandro, I have just updated the link for some parts of the Appendix. You can check the post again. Hello! Could you please take photos of the Answer key section? That’s 6 pages in the back. For some reason my version of the book does not contain them, while they are crucial for learning. Thank you! Hi i have the same problem has the others i dont have the appendix. I was so glad to see you posted it but the link isnt working anymore. Is this the site’s fault or you removed it yourself ? Hi there, I was wondering if you would have the answer key section for this book?